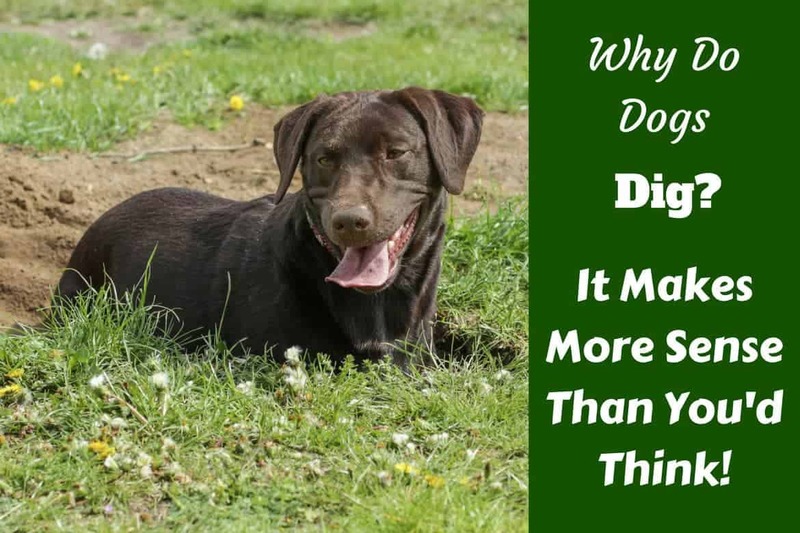 Why do Dogs Dig? There's Many More Reasons than You Think! Home INFOBITES	Why do Dogs Dig? There’s Many More Reasons than You Think! A digging dog can be a very frustrating sight for any owner…especially if they take a liking to a much loved lawn or flower bed! Before you can think about stopping this habit, it’s important to work out why your dog is digging in the first place, because their behavior may well be something that’s very easy to explain. Digging is in a Dog’s Nature! Although our loving Labradors seem a very long way from the wild dogs out there, the fact is, their heritage means they have the same genes! One reason wild dogs dig is so they can hide food they can’t eat straight away – that way it’s safe and secure from the prying eyes of other dogs. It’s not just food that keeps wild dogs digging…they also dig dens to sleep in and keep their young safe from other animals, and also the heat or other weather elements. If your dog is anxious, there are a whole host of behaviors they might display, with digging being one of the most common ones. Changes at home or in their routine might mean they’re feeling anxious, and digging is one way they can release some of this stress. 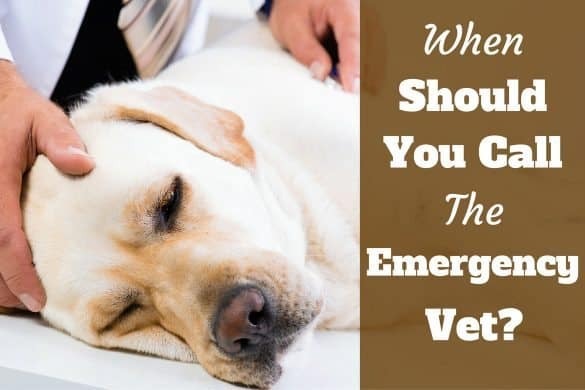 Changes in an owners’ work pattern, or a new person or animal being in the house are frequent examples of reasons dogs may become stressed or anxious. If you think this may be the problem with your dog, remember to give them plenty of reassuring attention while they learn to adapt to the changes around them. Let’s face it…every Labrador owner knows that they are big dogs who love a lot of exercise! Without frequent play sessions and long walks, your dog will start to get bored, and may dig to help relieve their boredom. If boredom is likely to be a problem from your dog, there are lots of things you can do to help them feel engaged and challenged during the day. One option is to get them some interactive toys – this is a great way to channel their energy into a much less destructive behavior. Whether your dog is bored or just inquisitive, make sure you’re always aware of where they’re digging. Even if you aren’t a garden lover and don’t mind the occasional hole in your yard, if you notice your dog digging near the fence, this behavior needs to be stopped as soon as possible. Any dog that digs near a fence is in danger of ‘digging out’ – they may be able to dig under a fence and escape the safety of your yard in a fairly short space of time. 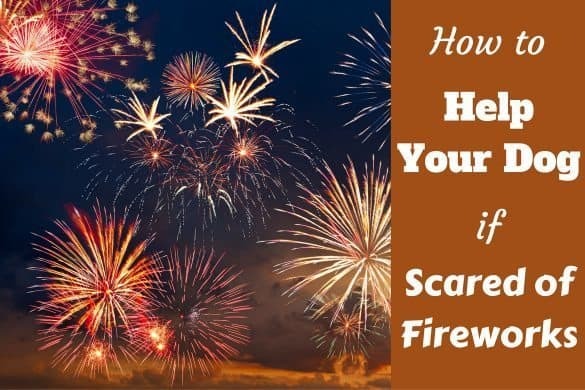 Always make sure you stop this behavior if you notice it, and if you’re not sure where to start, take a look at our advice. For larger dogs, especially those with thicker coats, changes in the temperature as we head into summer can be really hard to handle. 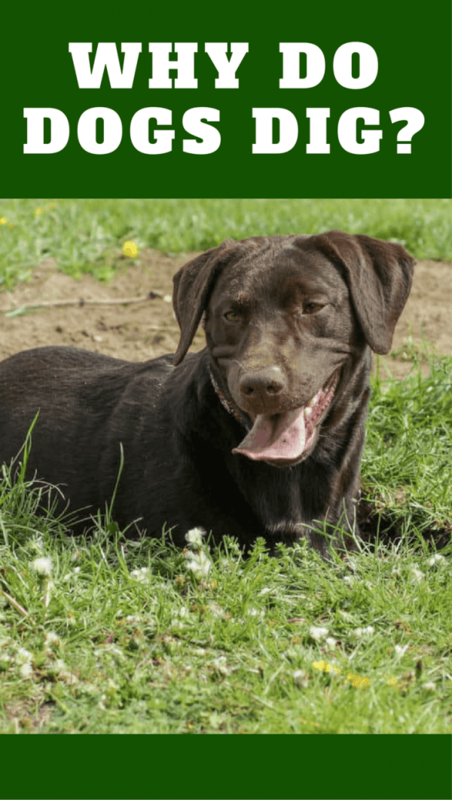 Very hot days will leave your Labrador looking for different ways to cool down, and one of the most natural ways for them to do that is to dig! If your Lab is digging because they’re hot, be warned…you may end up with a few fairly deep holes in your garden! The further your dog digs down, the cooler the earth is, so digging a nice deep hole to lay in means they won’t feel the heat as much, even under all those layers of fur. We briefly touched on this earlier in the article, but as it’s such a common and easy-to-fix reason for dogs digging, it’s worth going over in detail! Inherited genes mean that if dogs are given too much food to eat in one go, their instincts will tell them to bury it somewhere safe. Pay attention to when your dog likes to dig – if it’s soon after you’ve fed them, it may well be that this is the problem. 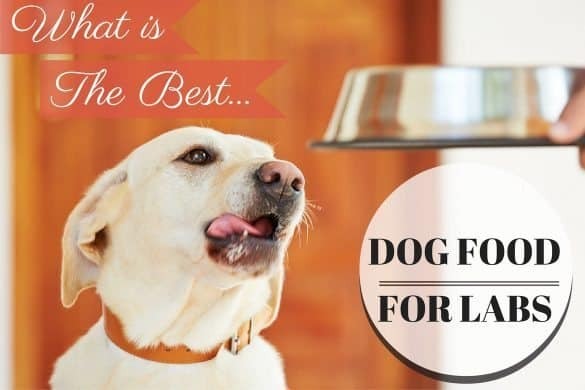 Even though domestic dogs are used to getting fed frequently, they’ll still have the urge to hide excess food in case they have to go through a period of time with no food…and this is nothing to do with a one-off time when you were late home to feed them, this behavior goes back much further and links them back to wild dogs. 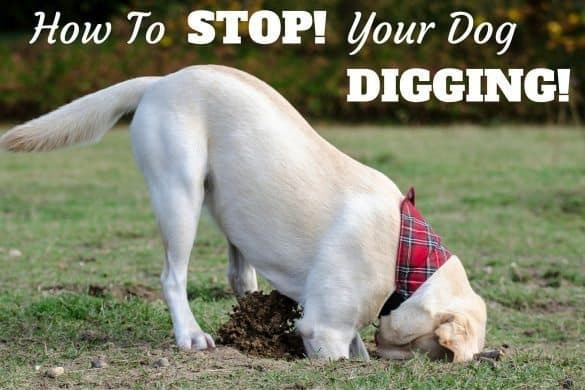 If you’re having issues with your dog digging, and want to understand more about this behavior and how to stop it, there are some great videos out there to help you deal with the situation. The main thing to remember though, is that digging is a natural behavior for dogs, so don’t worry if your Lab suddenly takes a liking for this habit. 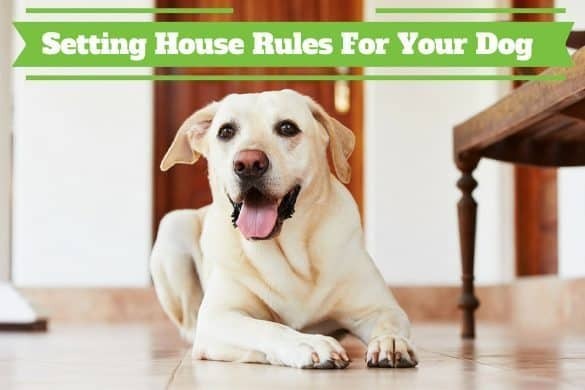 Try to work out why your dog may be digging using our suggestions as a starting point, and then you can move forward to try and stop the destructive behavior from being a problem in your home.